Archaeologia Cambrensis is an English-language archaeological and historial scholarly journal, published annually, containing excavation reports, book reviews, and historical essays. It also includes society notes and accounts of field visits. The publication history of the title is complex with inconsistent volume numbering and multiple series. For digitisation, the publication has been split into two sequences: First Series Vol. 1 (1846) – Fifth Series Vol. XVI (1899) and Fifth Series Vol. XVII (1900)-present. 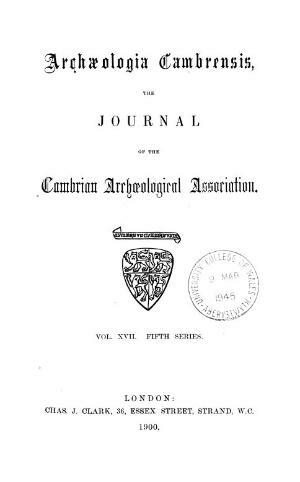 Publisher Details: The Cambrian Archaeological Association was founded in 1846 to examine, preserve and illustrate the ancient monuments and remains of the history, language, manners, customs, arts and industries of Wales and the Marches and to educate the public in such matters.